Here are the selected artists for our upcoming exhibition, Remix! 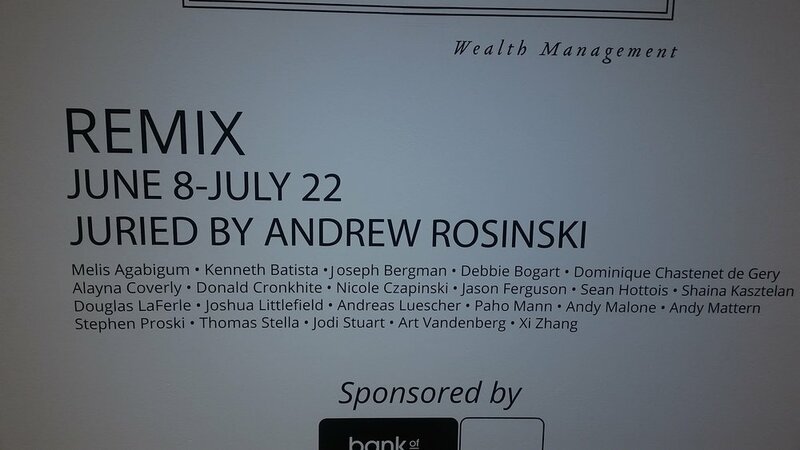 Out of 300 submissions from all over the country Andrew Rosinski, our juror, selected these 22 artists. This exhibition will include painting, printmaking, photography, sculpture, text, new media, and moving image, as well as new and traditional modes of art-making combined in unexpected ways. Congratulations to the selected artists!